Happy Thanksgiving! It’s important to remember that this week’s volume is very light, so don’t read too much into price action. The price can be easily pushed around by a few big players. Lots of issues on the New York Stock Exchange have made new lows. Conventional technical analysts think that this is short-medium term bullish for the stock market. Is it? Here’s what happens next to the S&P 500 when the NYSE New Lows Index’s 50 day moving average is more than double that of its 200 day moving average. *We look at the distance between the 50 dma and 200 dma instead of looking at the NEWLONYA’s absolute value. This is because as the number of issues on the NYSE increases over time, NEWLOYA will forever make higher highs in the long term. While the S&P 500 has gone down, oil has gone down even more. It seems like just yesterday Jeff Gundlach was calling for $100 oil. *From what I’ve seen, Jeff Gundlach is good at predicting the bond market, but his equity & commodity predictions are no better than a coin toss. Just shows that everyone has a specialty. Trade only what you are good at. 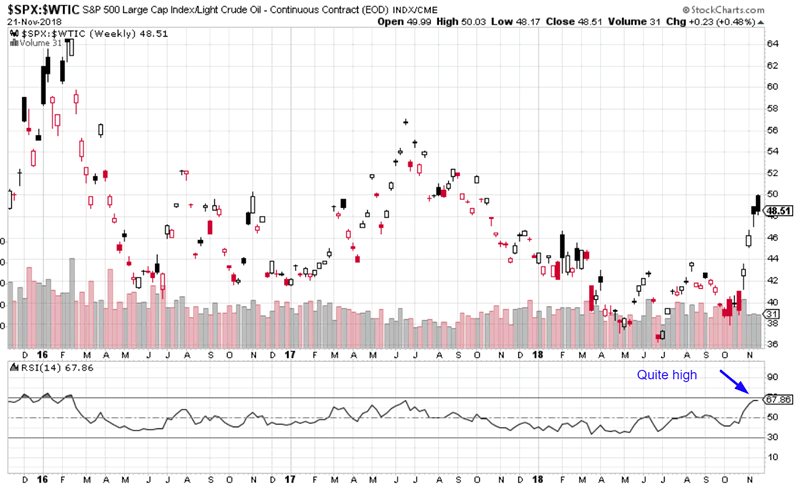 As a result, the S&P:oil ratio’s RSI has become quite high. 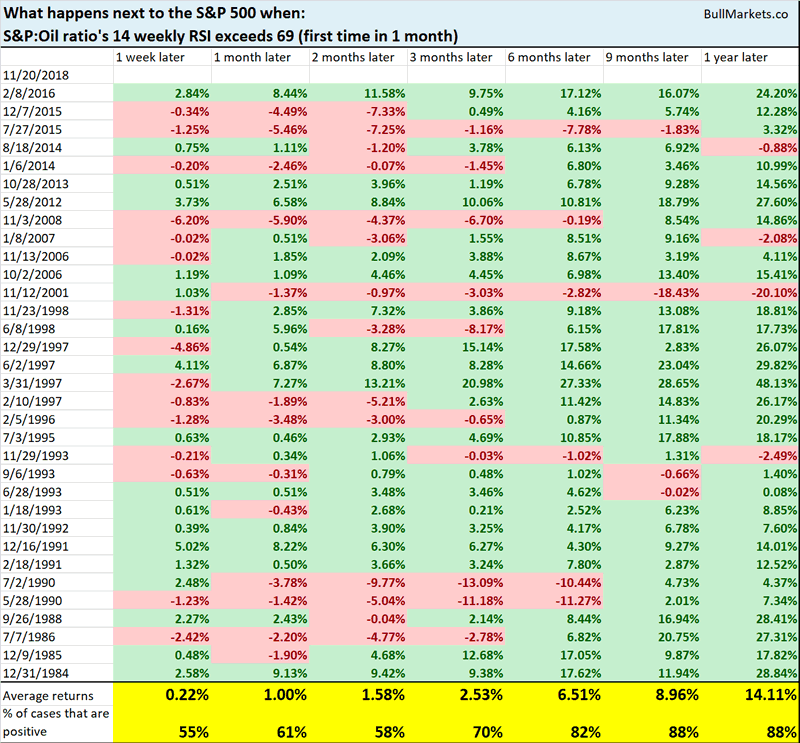 As you can see, the stock market tends to go up over the next 6-9 months. The NASDAQ will probably make a “death cross” next week, whereby its 50 day moving average falls below its 200 day moving average. 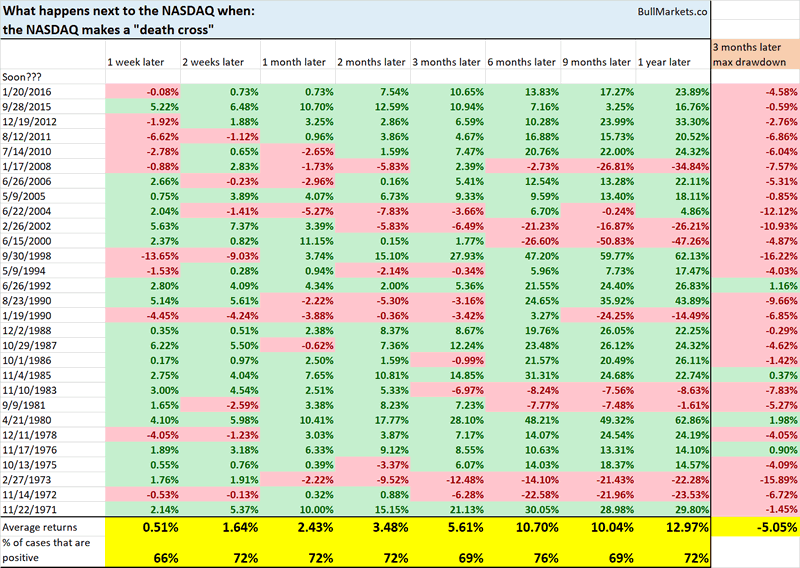 Here’s what happens next to the NASDAQ (historically) when it makes a death cross. While the Total Put/Call Ratio (a sentiment indicator) has come down a little, the Equity Put/Call Ratio remains high. Here’s what happens next to the S&P 500 when the Equity Put/Call ratio’s 50 day moving average is more than 4% above its 200 day moving average (i.e. Equity Put/Call Ratio is trending up). 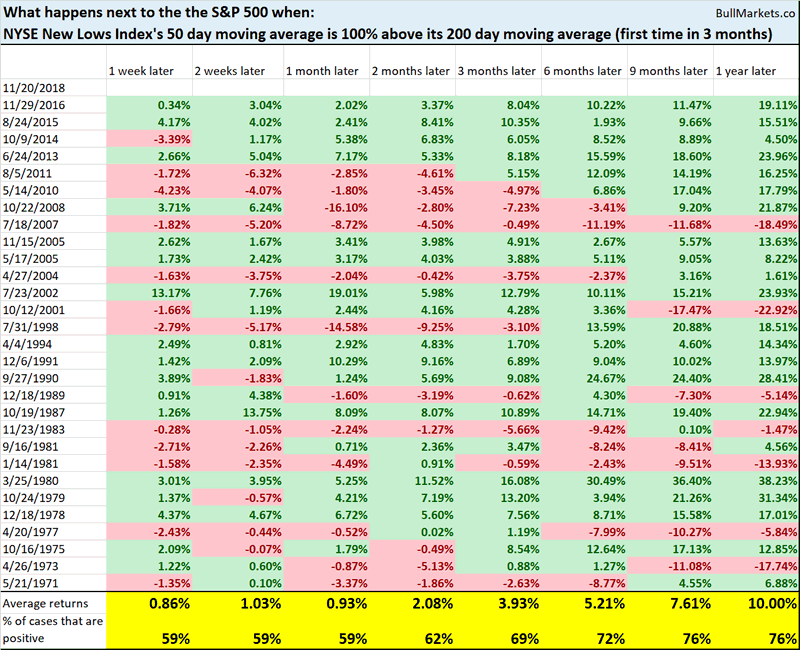 As you can see, the stock market’s forward returns are mostly no different than random, although there is a slight bullish lean 3 months later.